Looking to add an impressive Theater Room to your Home? 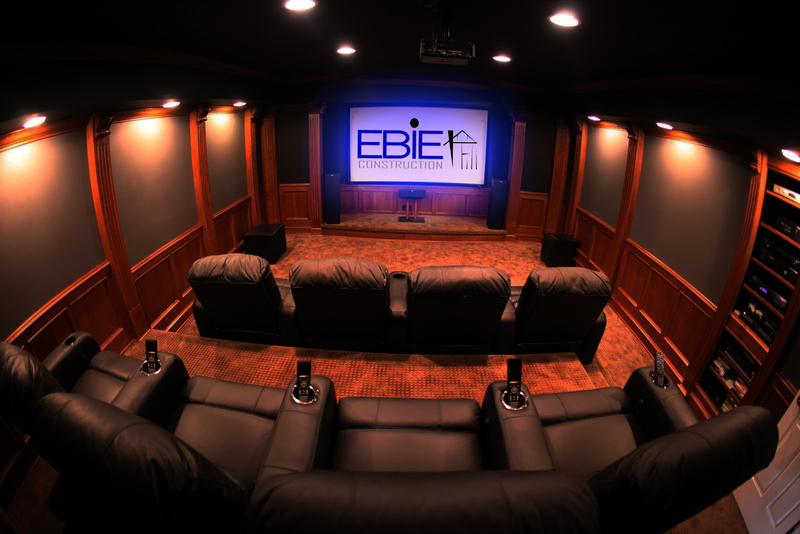 All you will need is the popcorn and soda after Ebie Construction designs and builds your homes new Theater Room. Our company offers clients the ability to have the exact look and feel of a real theater right in their home. We specialize in building a room from scratch or remodeling an existing room into a theater room. Our company handles all of the construction and installation of all theater room accessories.